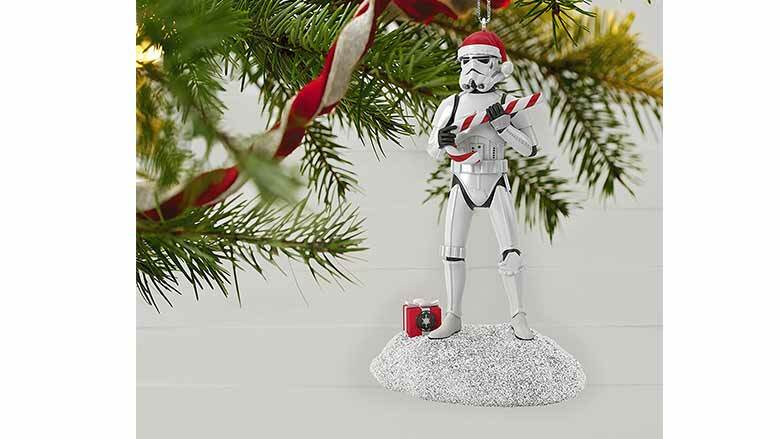 30 Best Nerdy Christmas Ornaments: The Ultimate List (2019) | Nerd Much? Looking for some great nerdy Christmas ornaments for 2018? Look no further! The holiday season is finally upon us, and looking back at the year behind us, it’s safe to say that we’ve had a great year — at least, on the nerd side of things. God of War, Spider-Man for the PS4, and a new Call of Duty that’s actually worth playing are just a few of the year’s highlights. But every year, around this time of year, we start thinking about all of the nerdy decorations and gifts that we’re going to buy. From nerdy Christmas sweaters to BB-8 Lawn Ornaments, there’s no shortage of fun Christmas-themed items based on our favorite video game, movie, and TV franchises. 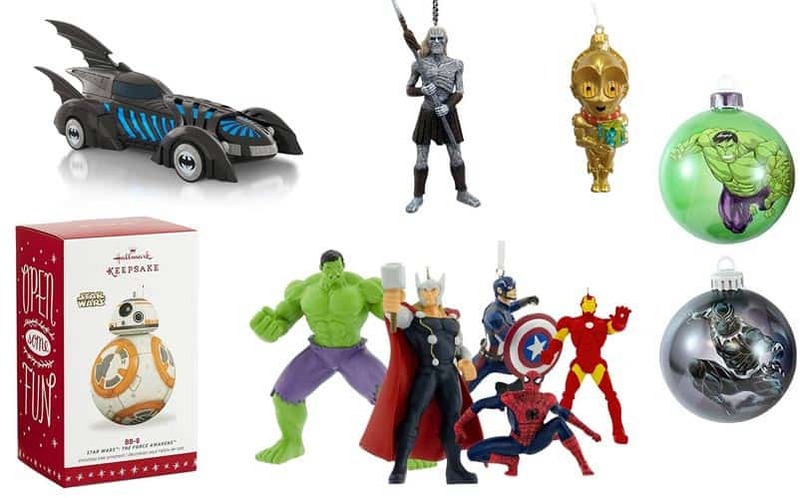 In fact, you’ll find a great Christmas tree ornament based on most of your favorite properties, including Star Wars, Harry Potter, Pokemon, and more. We were really hoping to find some incredible Overwatch Christmas ornaments, but for now, we’re not finding any that are worth posting (so, you know, c’mon Etsy-ers, step your game up!!). Still, there are plenty of nerdy Christmas ornaments to geek out about this holiday season. 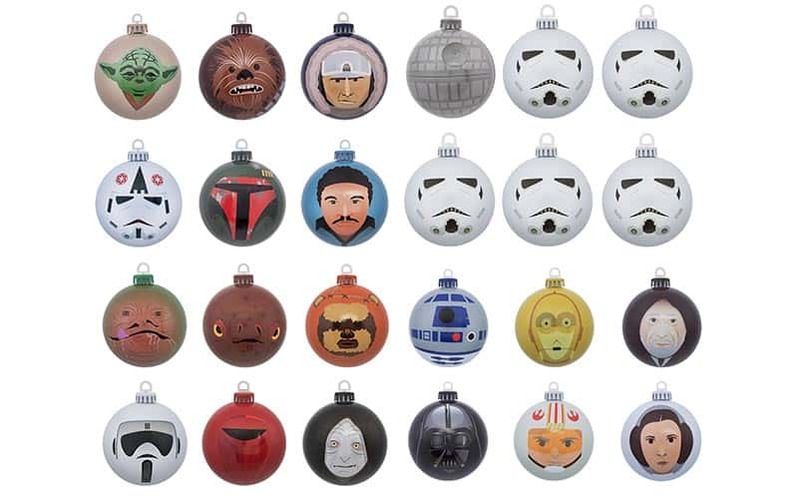 Buy the Star Wars Ornaments Bundle here. Engage! Join the USS Enterprise NCC 1701-D and take charge in the the captain’s chair with this collectible Hallmark ornament. Jean-Luc Picard sits confidently while Lieutenant Commander Data stands by him, ready for action. Featuring many phrases and dialogue from the television show, this collectible is a good choice for any New Generation Trekkie out there. It’s great to see ornaments that have dialogue to add to the fun, nerdy times this holiday season, and this is no exception. 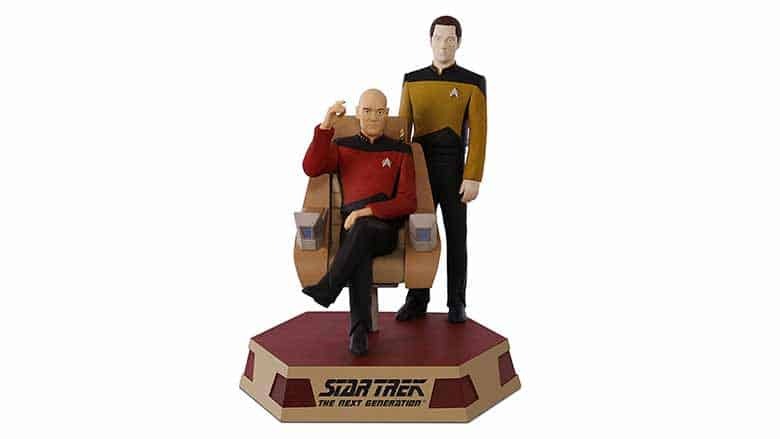 Buy the Picard and Data Ornament here. 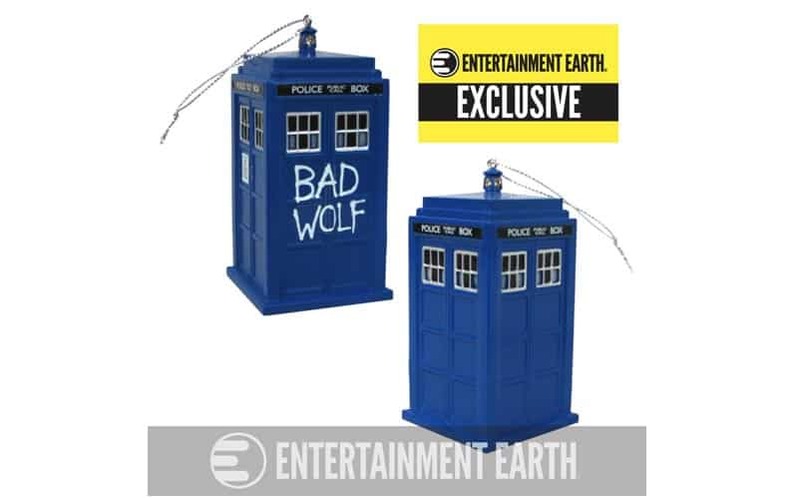 Buy the Doctor Who Bad Wolf Tardis Ornament here. The Merc With a Mouth can now hang from your tree, breaking the fourth wall time and time again this Christmas. Grabbing his sword, Deadpool is ready for action with his signature look, suit, and expression. This collectible also shows his sense of humor, complete with a thumbs up! 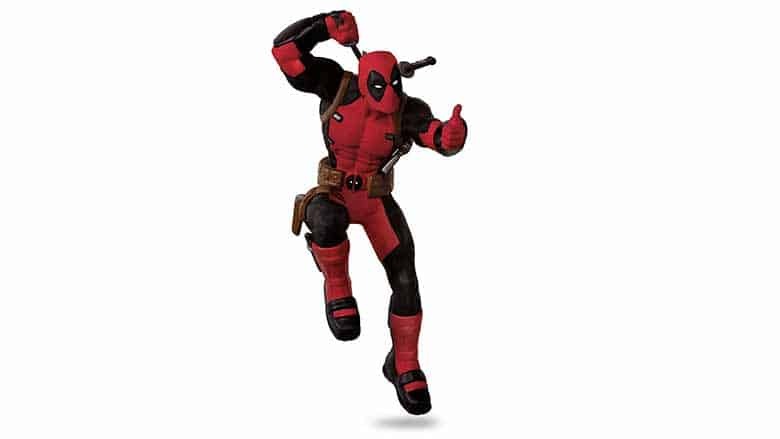 For fans of the Marvel comics or movie, this Deadpool ornament is a great depiction of his overall character. As Deadpool said, “with great power comes great merchandising opportunities”. Buy the Deadpool Christmas Ornament here. 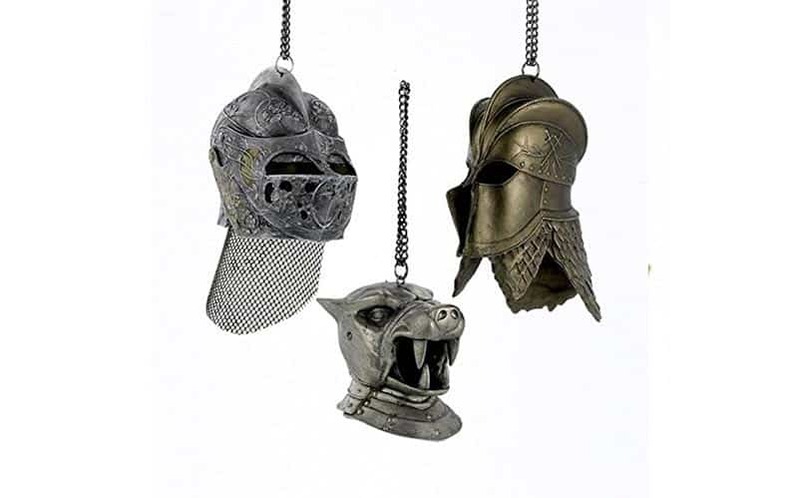 Buy the Game of Thrones Helmet Ornament Set here. Star Wars ornaments are very popular around the holidays, and this new 2017 Stormtropper adds to the holiday fun and festivities. Complete with a santa hat, this trooper is ready to guard the presents under the tree with key phrases from the movies . If anyone gets close, it will detect them with a motion sensor and warn them to back away, making it a unique piece to add to your tree. This is a great novelty item for any fan of the sci-fi movies and series. Buy the New Stormtrooper Ornament here. 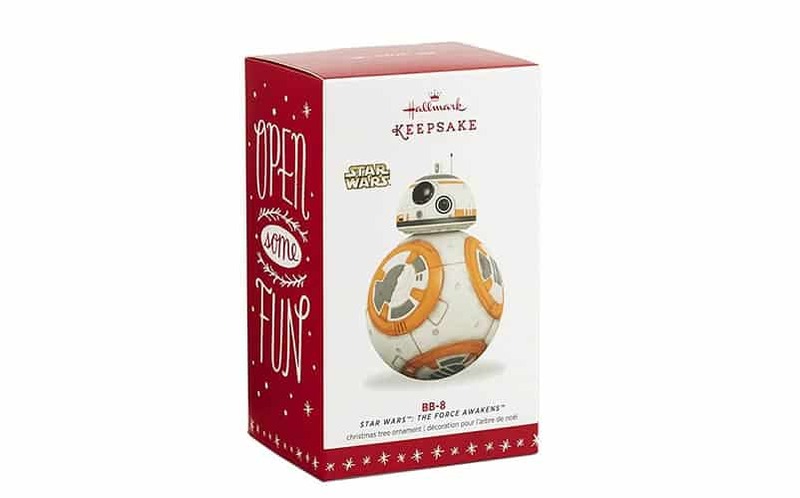 Buy the Hallmark BB-8 Ornament here. 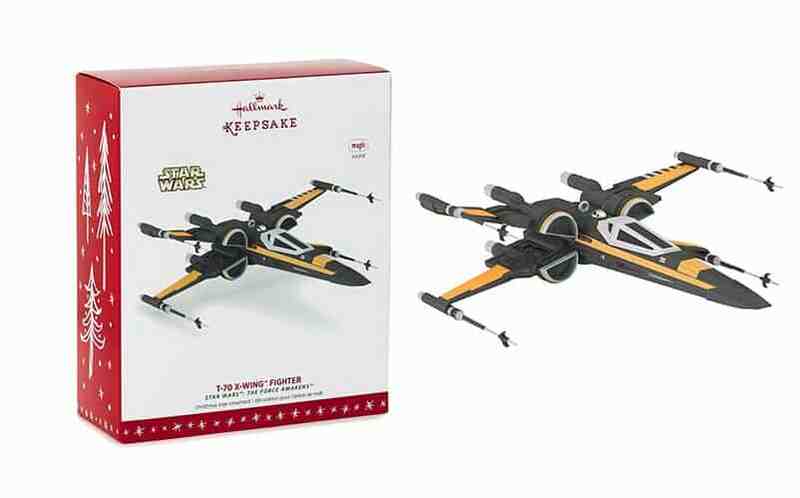 Buy the T-70 X-Wing Fighter Ornament here. 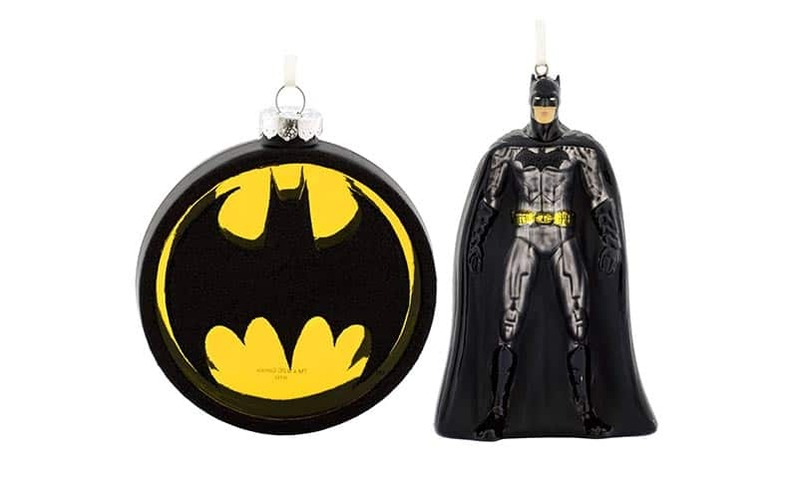 Buy the Hallmark Batman and Bat-Signal Ornaments here. 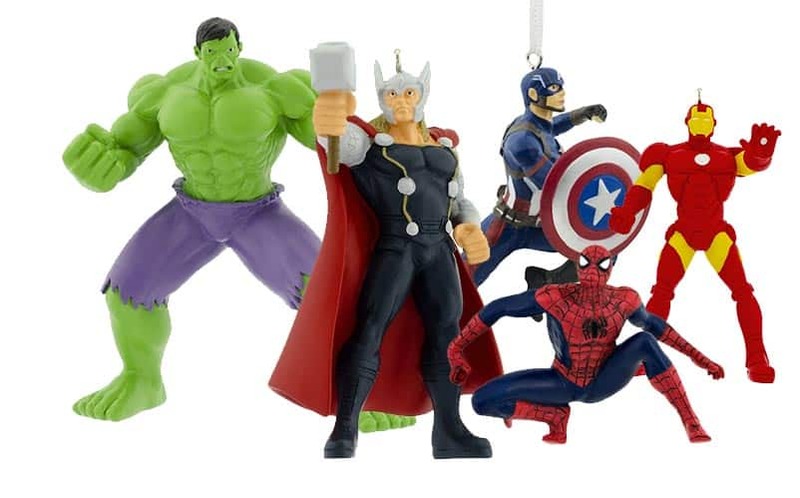 Buy the Hallmark Marvel Holiday Ornaments here. Also featured on our list of the 21 Magical Harry Potter Christmas tree ornaments. 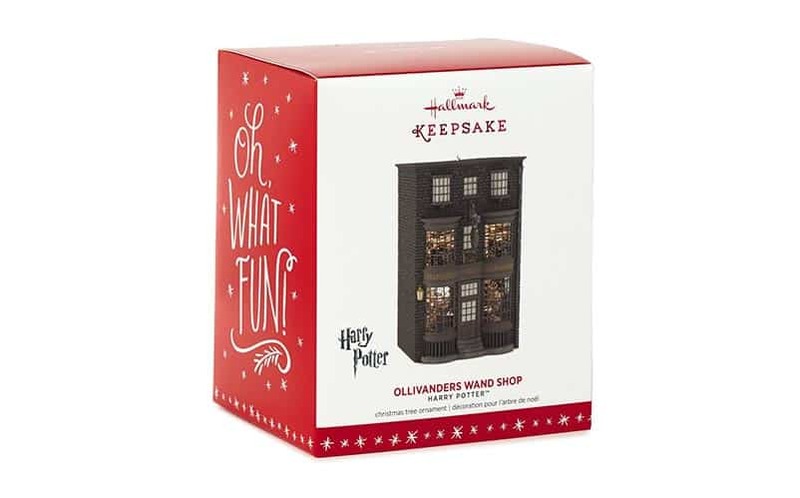 Buy the Harry Potter Olivander’s Wand Shop Christmas Ornament here. 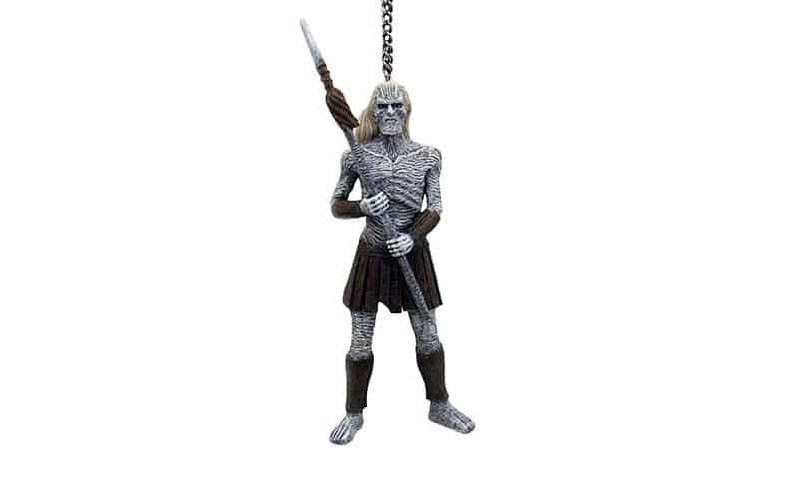 Buy the White Walker Ornament here. 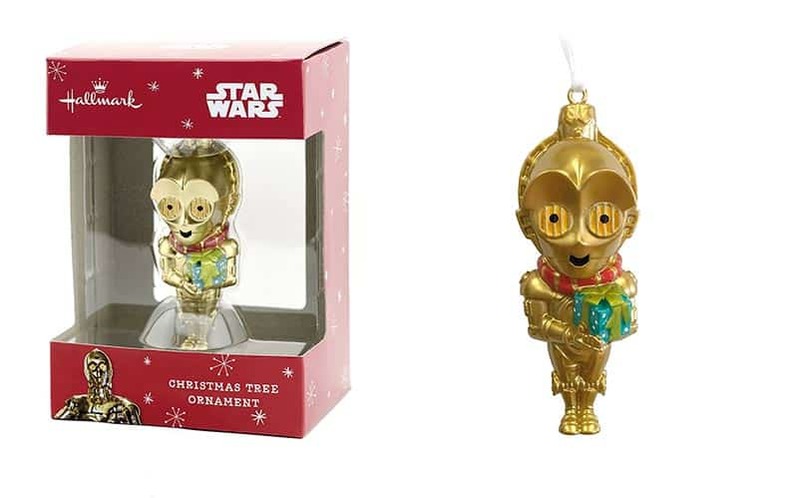 Buy the C3P0 Star Wars Ornament here. 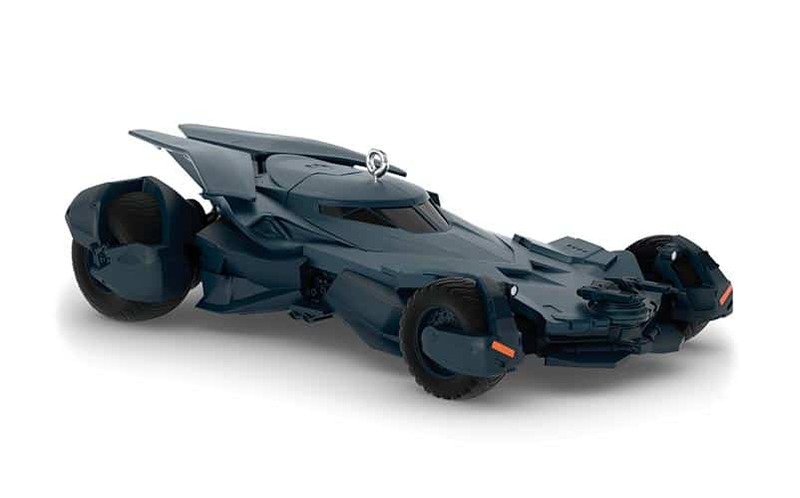 Buy the Batman v Superman Batmobile Ornament here. 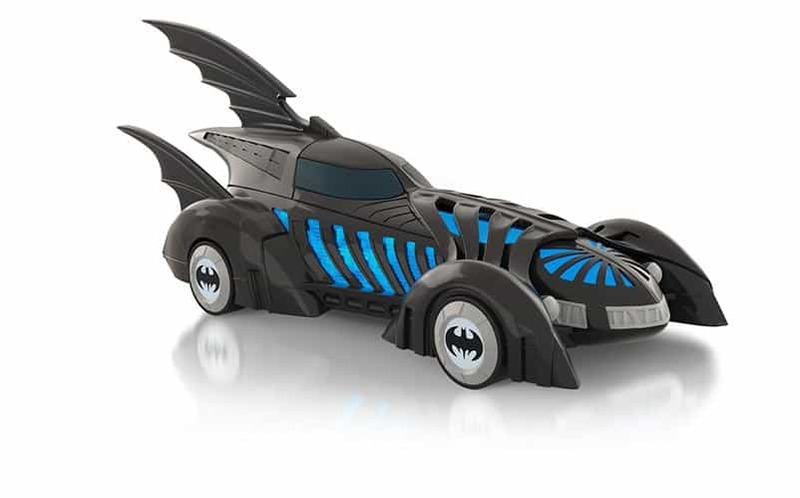 Buy the Batman Forever Batmobile Ornament here. 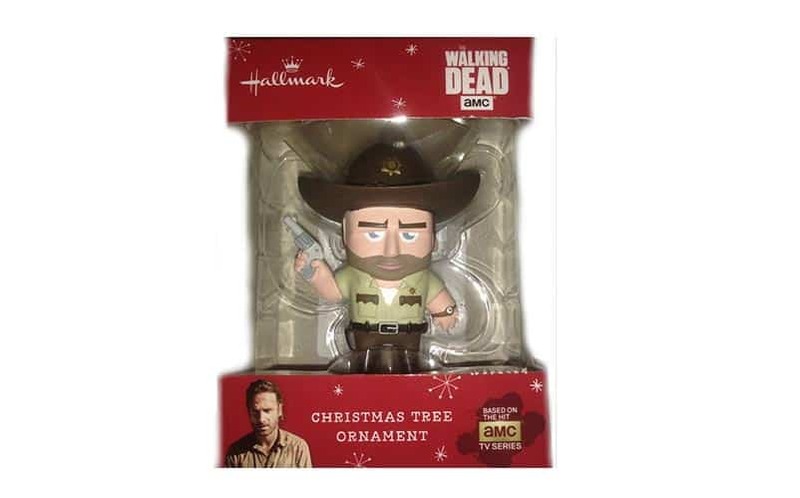 Buy the Walking Dead Christmas Tree Ornament here. 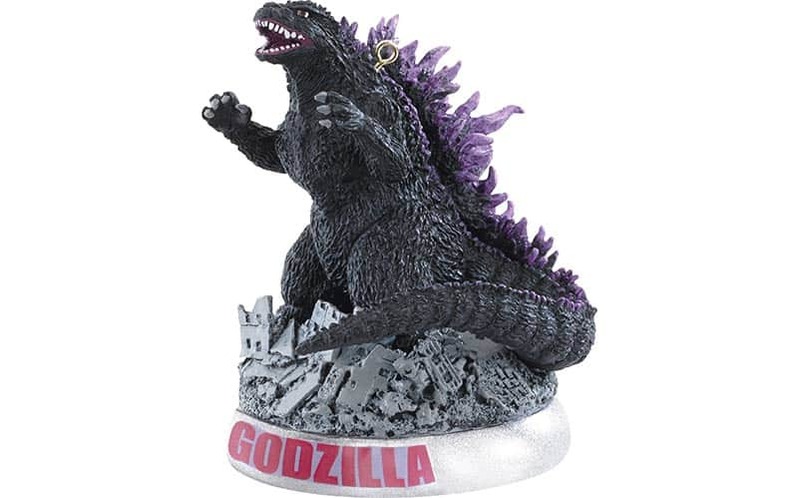 Buy the Carlton Heirloom Godzilla Ornament here. 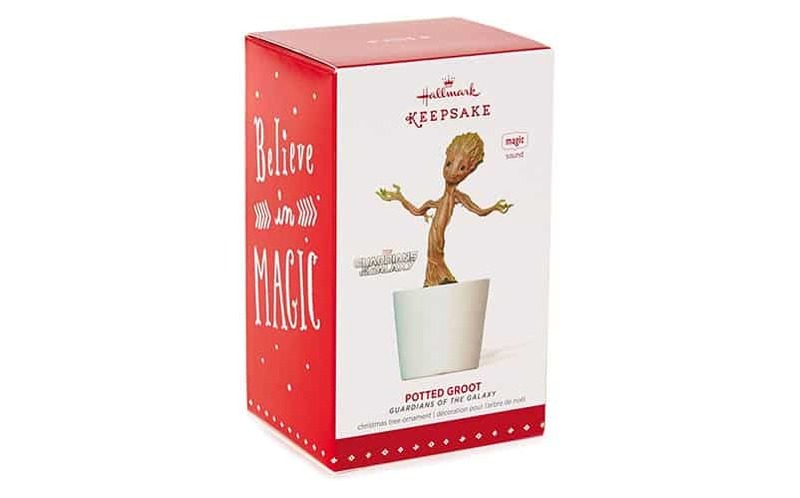 Buy the Hallmark Groovin’ Groot Ornament here. 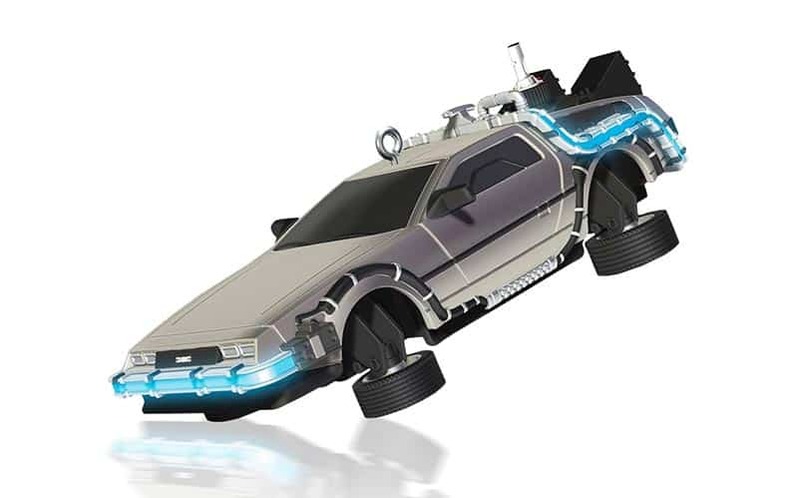 Buy the Back to the Future DeLorean Ornament here. 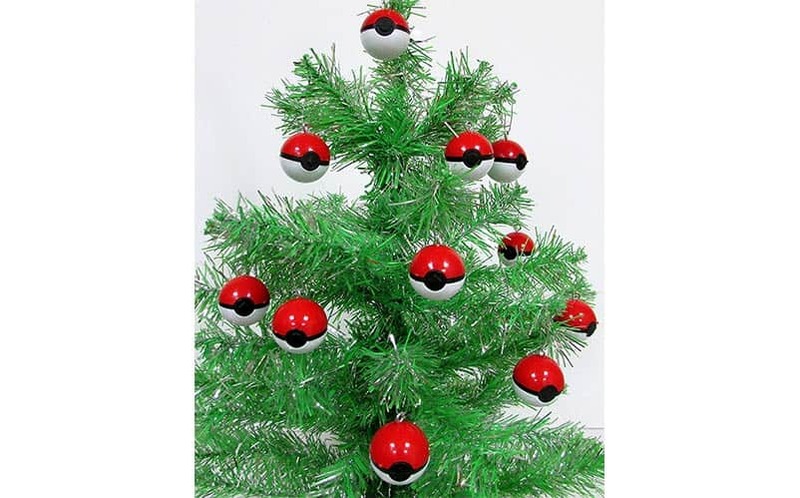 Buy the Pokemon Go 12 Piece Mini Red Poke Ball Ornament Set here. 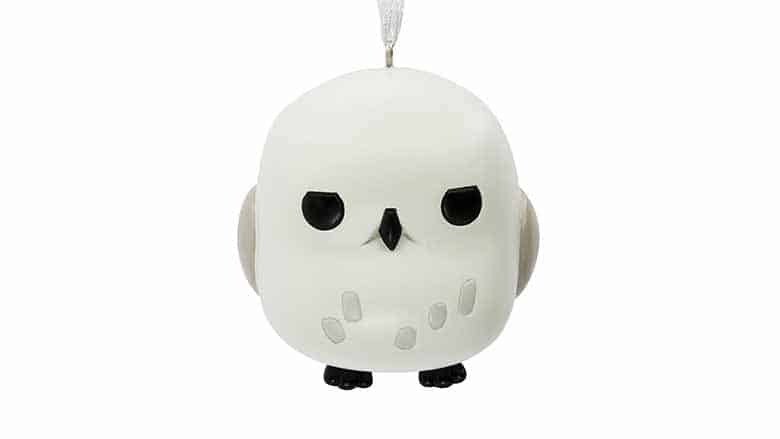 Everyone’s favorite owl from the Harry Potter series now has an even more adorable design this holiday season. Part of the stylized Harry Potter set, this “chibi” version of the character is so cute and will perch on your Christmas tree, waiting for Harry’s call. If you want to add more Hogwarts love, there are also Dobby, Harry, Hermione, and Ron ornaments sold seperately. NO CAPES!!! 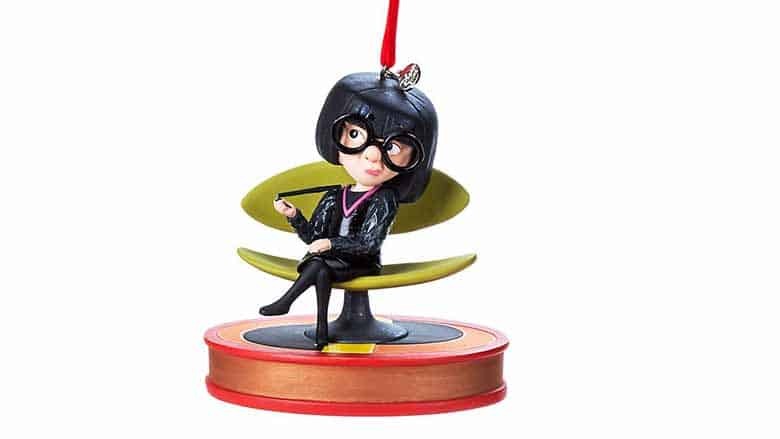 From the popular animated movie, The Incredibles, Edna is the famous superhero costume designer who now has her own ornament where she can regulate the fashion world from the edge of her seat. One of the funniest and greatest characters in the movie, Edna designs the superhero looks and takes charge on any fashion mishaps. She’ll sit there silently judging the access tinsel and design of your tree, but for any Disney or Incredibles fan, she’s a keeper. Diana, the powerful princess of the Amazon, stormed into theaters this past year. 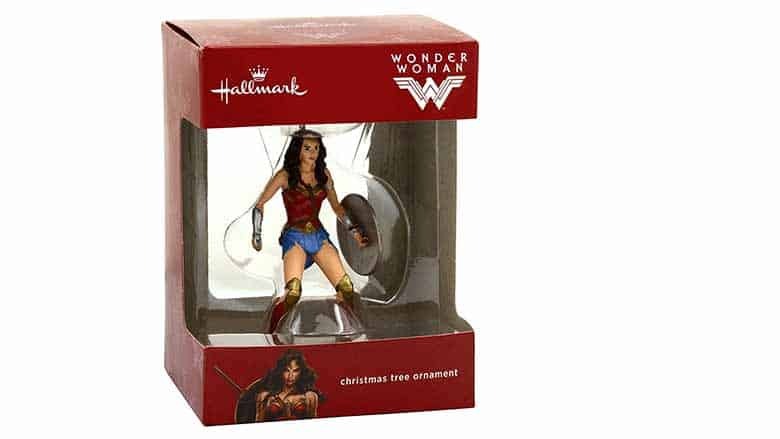 Now, have your own Wonder Woman film ornament this holiday season. Complete with the iconic skirt, top, sword, and shield, this version of Diana looks just like her movie counterpart. She’s ready to protect your tree. For fans of the DC comics, the latest film, or Wonder Woman herself, this high quality keepsake is a great choice for a gift or to trim the tree. Buy the Wonder Woman Ornament here. 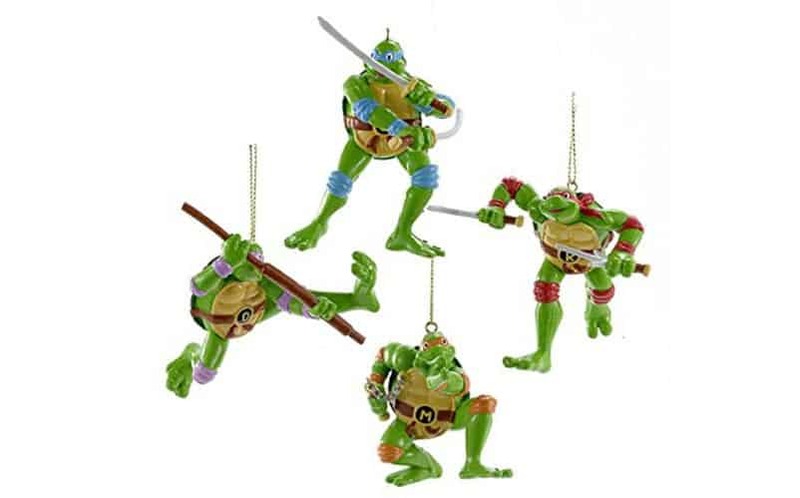 Buy the Teenage Mutant Ninja Turtles Retro Ornament Set here. 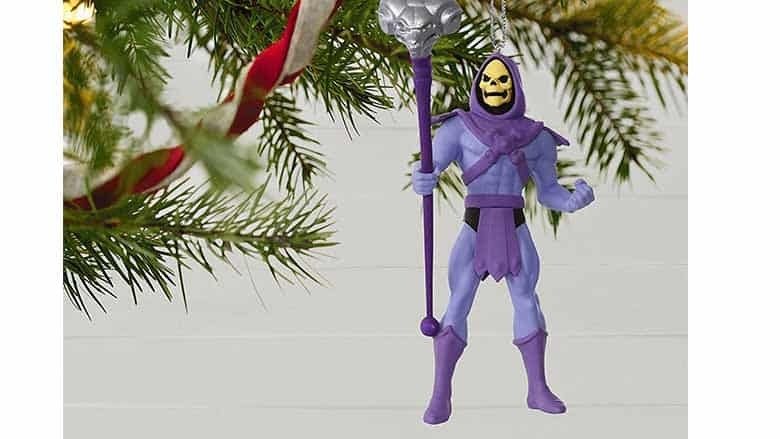 Whether you are a fan of the series or want some 1980’s nostalgia, this Skeletor ornament from He-Man and the Masters of the Universe is a fun addition to your tree. As one of the main enemies in the series, Skeletor the sorcerer constantly plots ways to defeat He-Man. Now, he is plotting to make you have a happy holiday! This piece includes his famous staff and look, complete with Hallmark quality (seriously, all of the new tree ornaments from He-Man look incredible). Buy the Hallmark Keepsake 2017 He Man Skeletor Ornament here. Meowy Christmas! Who doesn’t love Pusheen the cat? The famous fat cat is known for its adorable appearance, cuddly line of toys and hilarious comics. Pusheen is a popular at nerd conventions and in the community, which makes it a fantastic ornament for any fan’s tree. This plush hanger features Pusheen stuffed in a stocking, and is soft and huggable. If you don’t want the stocking, it’s removable so you can just have Pusheen trim the tree. It’s adorable and well made. 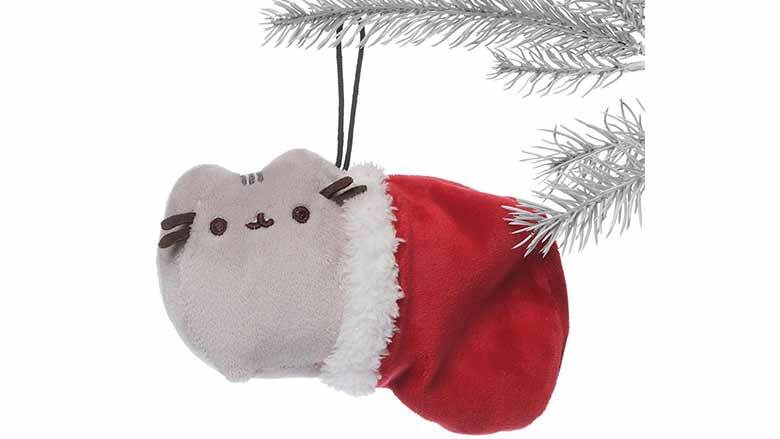 Buy the Gund Pusheen Stocking Holiday Ornament here. 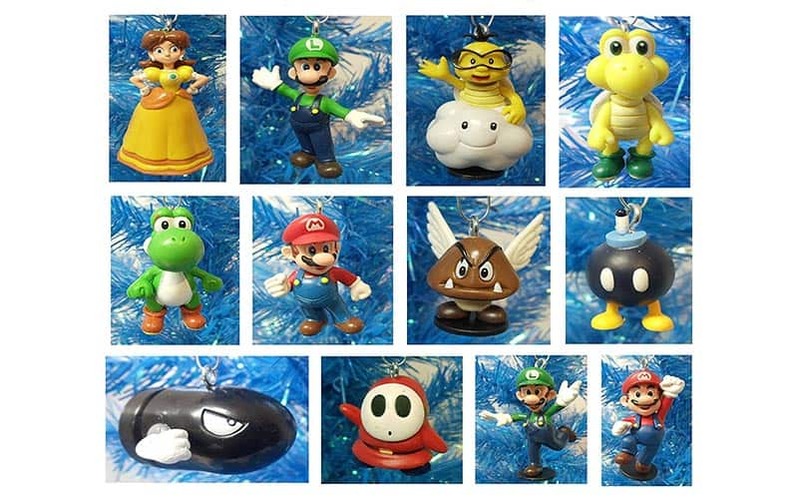 Buy These Mario Christmas Ornaments here. 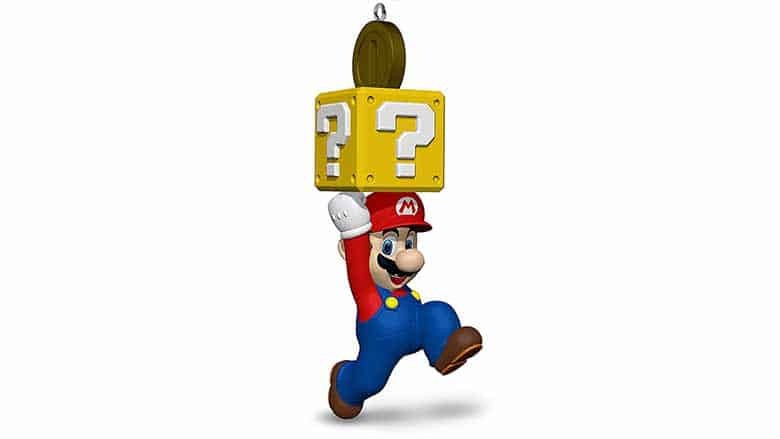 Collect coins with this new Mario ornament, complete with the famous “?” box. Whether you are pouring hours into Super Mario Odyssey or you prefer the classics, this Hallmark Keepsake collectible is guaranteed to 1-UP your Christmas tree this year. Featuring the main man of the games, this piece perfectly depicts him the moment he gets another coin. Want more characters? There are also Luigi and Yoshi ornaments to add to your own Super Mario (Christmas) World. Perfect for the Super Mario Odyssey fan. Buy the New Mario Christmas Ornament here. Creepin’ on your Christmas tree, this Minecraft ornament is ready to be added to the decorations and creations of your holiday display–just like the game! Sitting on a TNT block, the creeper sits patiently. No worries, though. He won’t attack with his mob this time. For all ages, this is a fun ornament for fans of the hit Indie game. 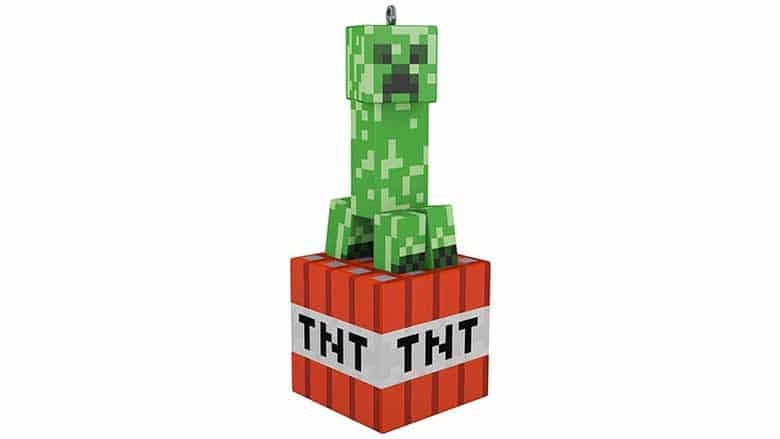 Buy the Minecraft Creeper Ornament here. 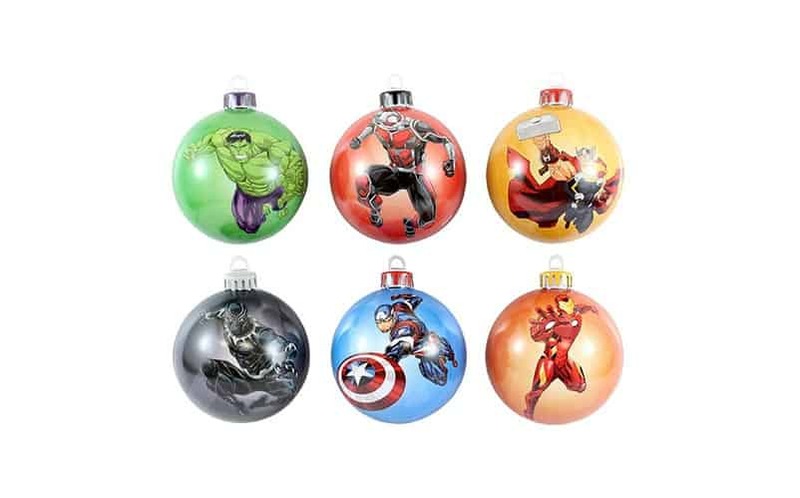 Buy the Marvel Avengers Baubles here. See more great nerdy Christmas things here.